This is the start of a 5 part series on managing risk. Risk management is second only to communications as a core skill for project managers and this week’s 5 part series offers a quick refresher on some of the important concepts. The pyramid below lists stages of understanding ranging from low (to bottom of the pyramid) to high (the top). The first stage is pure uncertainty. I’ll use a coin flip to illustrate these different stages, you’re going to flip a coin but you’ve absolutely no idea of what the outcomes could possibly be. You’ve no ideas that heads is more likely than the coin disappearing in a puff of smoke. The second step is to understand at least some (but not all) of the potential outcomes, for example if I flip a coin, it could be heads. The third step is the complete set of outcomes. If I flip a coin it could be heads or tails and no other outcomes are possible. The forth step is to know the probabilities associated with an outcome for example 50% heads and 50% tails. The final step is to know the outcome. This doesn’t work so well with coin example because a coin flip is designed to maintain a balance of uncertainty between two outcomes, but if you were a physics genius and knew exactly how the coin would be flipped, how clean the coin was on each side, and the impact of wind direction, then you would know in advanced how the coin would land. But, hang on, you ask, in this final example risk management isn’t needed? Exactly, that’s the point. 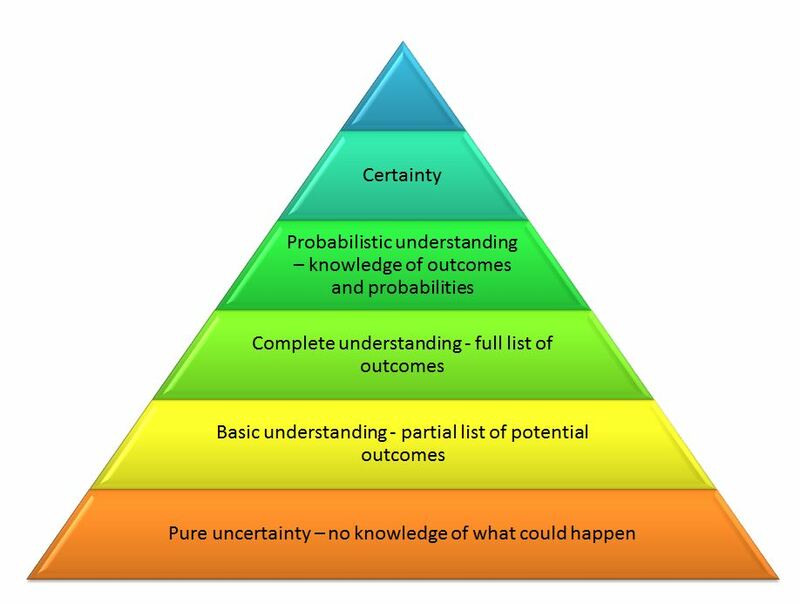 Risk management is a way of dealing with our imperfect understanding of the world and can be done away we get to a total understanding of the situation so as to predict the outcome. Just as a perfect driver wouldn’t need a seat belt. In most cases, though, we’re not this good and risk management is still needed. 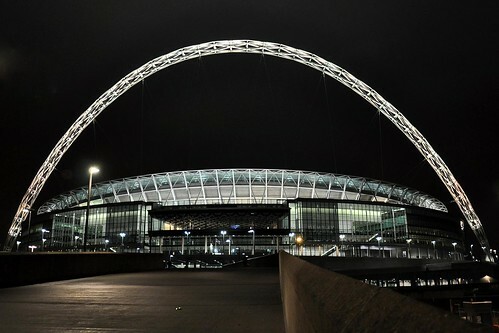 Wembley stadium is the home of English football (or English soccer if you’re American) and was rebuilt in the 2000s replacing the original structure from 1923. The project took 5 years longer than first estimated and costs were more than double initial estimates. The stadium uses an innovative steel arch that adds aesthetic appeal, but is also load bearing and minimizes the need for internal support that could have obstructed views within the stadium. As a result the arch improves the quality of the seating. The design wasn’t quite a novel as the Sydney Opera House or Guggenheim Bilbao but nonetheless included a design element in the arch that was unprecedented, making best practice techniques such as reference class forecasting impossible because there are no useful historic estimates to draw on – it had not been done before. 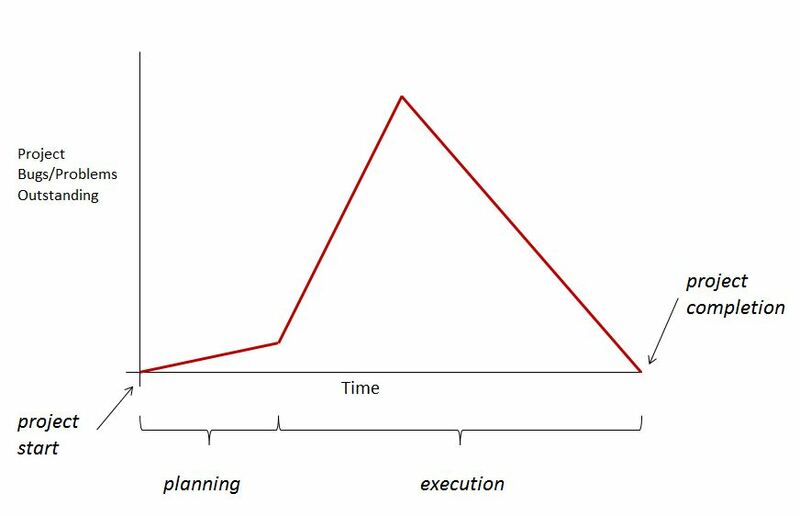 This lack of historical precedent is often a red flag in accurate project planning. The contract was bid out and awarded to one of the lowest cost bids. This creates a winner’s curse situation, where it’s likely that the winning bid is too aggressive in estimating the actual costs of the project. The cost of the project rose 36% between the bid being accepted and the contract being signed. 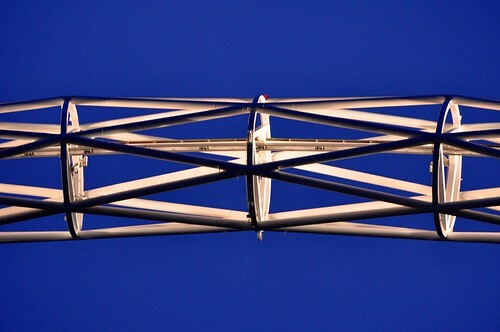 The arch implementation was problematic, ultimately the sub-contractor for the arch was replaced midway through the project, and the delay caused further problems. It appears that the the fundamental issue was attempting a stadium design using a load bearing arch that was novel and untested in previous stadium designs. This is typical of projects that are too innovative, and is one of the reasons that the Denver Airport Baggage System failed. Projects with formal budgets and timelines are not the place to be prototyping unproven techniques and processes. At least not if you’re hoping for a credible initial estimate of how long the project will take. Firstly, a whistleblower within the accounting department claimed to know of project delays months before they were disclosed. Secondly, in the UK it was possible to place bets on potential delays on the project. These bets were stopped after the observation of “men in hard hats placing big bets in the Wembley area”. It is also interesting that after the reviews were disclosed, management then instituted a “peer review” process to better assess the performance of in flight projects. As with any project, there are many factors at play. After the first delays, the sponsor and contractor became less willing to conduct work in parallel due to mistrust of completion dates, this may have added a few months to completion, but in the context of years of delay doesn’t appear to be a primary factor. It is interesting though that on delayed projects, further delays can be self-fulfilling as trust in the critical path diminishes. There was press speculation that workers on site were using drugs. This claim is hard to substantiate and was never proven. There were some scope changes, though again, it appears that the construction of the arch (part of the initial design) was a key factor in the delay. Unlike other projects such as the FBI’s Virtual Case File where scope change was a key contributor to delay. 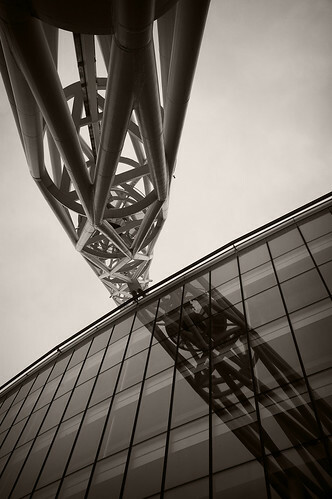 Fundamentally, when attempting a unique work item, such as a novel load bearing steel arch as fundamental part of a stadium, it is very hard to estimate cost and duration with precision. Awarding the work via a bidding process with a fixed price contract exacerbates this problem, because the winning bid will be more likely to underestimate the required work due to the winner’s curse. In addition, it appears information flow could have been improved on this project – if junior employees were aware of potential delays and senior management was not, information was clearly not being shared effectively. You can see more of these sort of case studies at www.projectcasestudies.com or follow me on Twitter here for blog updates, or consider reading my book. The Department of Homeland Security’s Threat Advisory System (definitions here) is a great example of a bad metric. Exercise caution when traveling.” Aren’t these things we should be doing anyway? Despite these failings, at least the scale is vivid and simple. This doesn’t compensate for it’s other failings, but it’s one case that some information is worse than no information at all. Projects fail often, most studies find failure rates above 30% depending on the exact definition of failure, and since budget overrun often cause failure, it seems obvious that better cost forecasts would reduce project failure. Bent Flyvbjerg demonstrates a sound method for improving cost forecasts here in the 2006 Project Management Journal, it’s a fairly long and academic article, so I’ll provide a brief summary. The approach Flyvbjerg suggests is called reference class forecasting. It’s a simple and elegant solution to the problem of overconfidence in forecasting. In essence, for any project, you estimate how much it would cost using normal methods, of course this requires putting in all the effort and process you would normally invest to develop a sound cost forecast. You then find a set of comparable projects (a “reference class”), with enough projects in the group to be statistically significant, but small enough that the projects are similar to the one that your undertaking. In practise, getting such data is relatively hard unless your organization conducts rigorous post-mortems consistently, but the article cites some distributions for certain project classes. For example rail projects exceed budget by 40% on average. You then gross up your cost estimate by this number and your estimate will be much more reliable. Reference class forecasting may seem fatalistic or too simple, but it is far more reliable than existing methods. Just as most car owners believe they are better drivers than average, so project managers have excessive confidence in their own estimates, as the literature on project failure rates shows. Flyvbjerg describes this approach as taking the “outside view” looking across projects, rather than dwelling on the “inside view”, the details of the specific project. It is more useful to compare a project with a broad set of similar projects than obsess on the details of your own project. Of course, there are some caveats to this view, if you believe overruns result from poor forecasting, then this is an effective solution, but if overruns stem from low-balling costs in order to get a project up and running, then the reference class forecasting approach won’t solve that problem. The disaster is probably the second largest oil spill in history (after the Lakeview Gusher that occurred between 1910 and 1911 in California). The efforts to address leak can be treated as a project. BP has been widely criticized for its management of the disaster, this post analyzes BP’s sequence of media statements to determine what went wrong at the project level, rather than just their PR efforts. Several factors are apparent. Firstly, BP initially underestimated the scale of the disaster and overestimated their ability to address it. There was no initial burst of action resembling crisis management. Two days after the explosion BP had mobilized 32 vessels and 4 aircraft, and three days later the number of aircraft had increased by one with the number of vessels unchanged. BP ultimately needed 205 times the number of vessels and 32 times the number of aircraft they initially deployed, the scale of the final response relative to BP’s initial reaction is stark. They went with 32 boats initially and ultimate needed 24x the number of ships in the entire US Navy. This understated reaction appears to be driven by the belief that the well was leaking 5,000 barrels a day, when the reality was that the leak was 10x that. Of course, estimation is hard at the best of times, but a public underwater feed and panel of experts to analyze the flow rate wasn’t in place until day 31 based on the actions of the government rather than BP. The apparent focus on repairing the failed the blowout preventer for the first ten days after the explosion delayed innovative ideas for a back-up solution. Secondly, alternative solutions also appear to have been explored sequentially, rather than in parallel which caused further delay, the exception to this is the digging of relief wells which did commence early in the process, but were always known to take months to complete. Overall, one is left with the impression that BP didn’t understand (or didn’t want to understand) the scale of the project it was involved in, and that continually colored its reaction to the disaster. Below are excepts from various press releases issued by BP during the crisis, the comments in bold are mine. pre-planned staging of resources for protection of environmentally sensitive areas. 5 aircraft (helicopters and fixed wing including a large payload capacity C-130 (Hercules) for dispersant deployment). 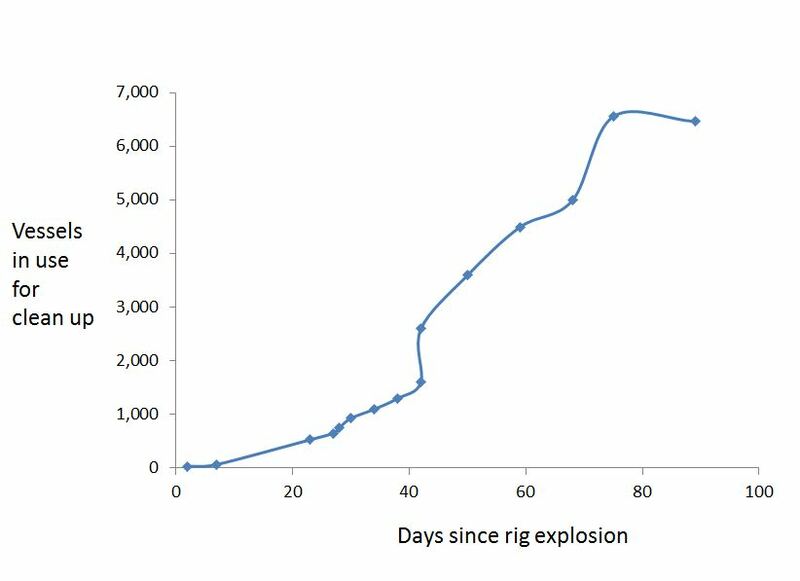 BP, as lease operator of MC252, also continues to work below the surface on Transocean’s subsea equipment using remotely operated vehicles to monitor the Macondo/MC252 exploration well, and is working to activate the blow-out preventer. 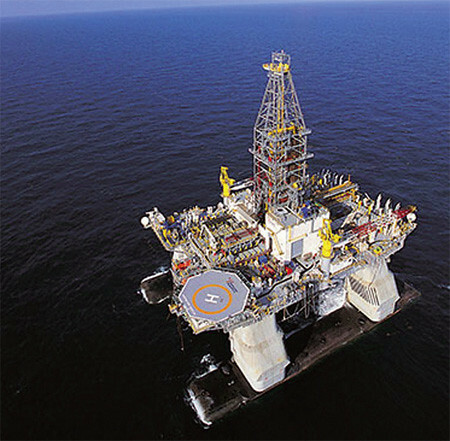 The Transocean drilling rig Development Driller III will arrive on location today to drill the first of two relief wells to permanently secure the well. A second drilling rig, Transocean’s Discoverer Enterprise, is en route. In parallel with these offshore efforts, advanced engineering design and fabrication of a subsea oil collection system has started onshore. This will be the first time this proven shallow water technology has been adapted for the deepwater. 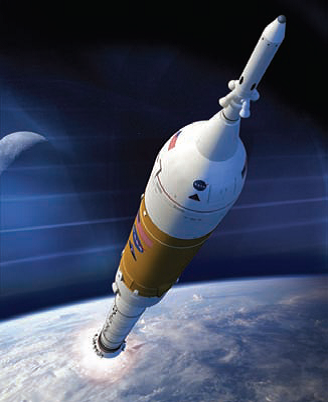 It is expected to be ready for deployment within the next four weeks. More than 100,000 feet of boom (barrier) has been assigned to contain the spill. An additional 286,760 feet is available and 320,460 feet has been ordered. 69 response vessels are being used including skimmers, tugs, barges and recovery vessels. 76,104 gallons of dispersant have been deployed and an additional 89,746 gallons are available. BP has called on expertise from other companies including Exxon, Shell, Chevron and Anadarko to help it activate the blow out preventer, and to offer technical support on other aspects of the response. BP today announced that work has begun to drill a relief well to intercept and isolate the oil well that is spilling oil in the US Gulf of Mexico. The drilling began at 15:00CDT (21:00BST) on Sunday May 2. Rapid progress is also being made in constructing a coffer dam, or containment canopy. A 14 x 24 x 40 foot steel canopy has already been fabricated and other-sized canopies are under construction and being sourced. Once lowered over the leak site and connected by pipe, the canopy is designed to channel the flow of oil from the subsea to the surface where it could be processed and stored safely on board a specialist vessel. Work continues to collect and disperse oil that has reached the surface of the sea. Over 530 vessels are involved in the response effort, including skimmers, tugs, barges and recovery vessels. Work continues to collect and disperse oil that has reached the surface of the sea. Over 650 vessels are involved in the response effort, including skimmers, tugs, barges and recovery vessels. Work continues to collect and disperse oil that has reached the surface of the sea. Over 750 vessels are involved in the response effort, including skimmers, tugs, barges and recovery vessels. Work continues to collect and disperse oil that has reached the surface of the sea. Over 930 vessels are involved in the response effort, including skimmers, tugs, barges and recovery vessels. The US government has created a Flow Rate Technical Team (FRTT) to develop a more precise estimate. The FRTT includes the US Coast Guard, NOAA, MMS, Department of Energy (DOE) and the US Geological Survey. The FRTT is mandated to produce a report by close of business on Saturday, May 22. BP started the “top kill” operations today to stop the flow of oil from the MC252 well in the Gulf of Mexico. Almost 1,300 vessels are now involved in the response effort, including skimmers, tugs, barges and recovery vessels. Over 1,600 vessels are now involved in the response effort, including skimmers, tugs, barges and recovery vessels. More than 2,600 vessels are now involved in the response effort, including skimmers, tugs, barges and recovery vessels. Almost 3,600 vessels are now involved in the response effort, including skimmers, tugs, barges and recovery vessels. BP announced today that oil and gas is flowing through a second containment system attached to the Deepwater Horizon rig’s failed blow out preventer (BOP). Approximately 37,000 personnel, more than 4,500 vessels and some 100 aircraft are now engaged in the response effort. The total length of containment boom deployed as part of efforts to prevent oil from reaching the coast is now almost 2.8 million feet (530 miles), and about 4.2 million feet (800 miles) of sorbent boom also has been deployed. Over 39,000 personnel, almost 5,000 vessels and some 110 aircraft are now engaged in the response effort. Approximately 43,100 personnel, more than 6,470 vessels and dozens of aircraft are engaged in the response effort. Following approval from the National Incident Commander, BP began replacing the existing lower marine riser package (LMRP) containment cap over the Deepwater Horizon’s failed blow-out preventer with a new sealing cap assembly. 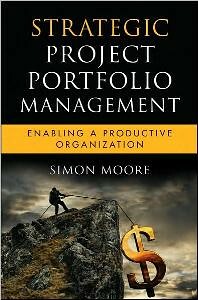 Effective estimation of time, money and other resources is key to effective project management. For that reason it’s interesting to look at best practises, and a hotly debated estimate for the past 2 months is how much oil is flowing from the Deepwater Horizon spill. A Flow Rate Technical Group has been established to estimate this number and the approach there are taking is detailed here. Basically, the panel of experts is splitting into sub-groups, using different methods. These estimates will then be combined into one overall estimate. This calculation of numerous estimates using independent techniques is best practise in estimation. As you produce estimates, explore different techniques to create independent estimates, the overall estimate is likely to be more robust as result.